WanderMan: Sometimes Even The Smallest Things Can Be Incredibly Useful! Sometimes Even The Smallest Things Can Be Incredibly Useful! While it's only a 6-foot tape length, that's plenty for almost any job I would tackle myself. When I break out the 25 footer or even the 50 footer, it's usually a job for more than one person. Usually they get a pad and writing implement with which to take down my measurements. That's a great way to furnish yourself with "artificial memory." When you pull out this tape, it stays at the length you've left it at. Most tapes I have require you to press in a button or lever to keep it extended. This one works the opposite, you press in on the button to retract it so it's very easy to use by yourself. Before you extend it, you open a small, clear plastic door that gives you access to the little pen and the sticky note pad. Both are replaceable. I am not sure, but I believe a tiny pencil could be used as well. Once extended to the length you desire, take the measurement and write it down. It even has a built-in level! Great for hanging pictures and shelves (as long as your RV is level in the first place!). I removed the sticker that told me it included a notepad and pen....this way when you go back to use the measurements you've taken, it's easy to see them through the "window." Once you have all your measurements done, close it all up and put it in a drawer. It's not much bigger than a couple of matchboxes. I truly love little labor-saving/aggravation reducing gizmos like this. If I can save some steps (or some re-steps because I've forgotten the numbers), it's a great thing. Work smarter, not harder. A good motto to live by. 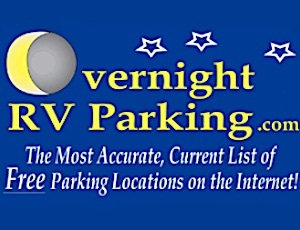 A great one if you love RVing! Looks like it also includes a level? Pretty cool! I Know! Incredibly useful little gadget. I swapped out my small tape measure (in the "junk" drawer with this one. Same space more tasks! I get/give these out as a promotional item for my Realtor Safety training business...about 25 cents in bulk.